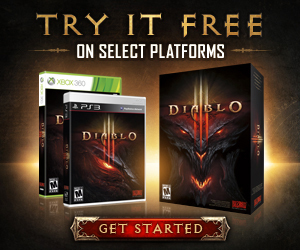 "Hey, is that Diablo III?" 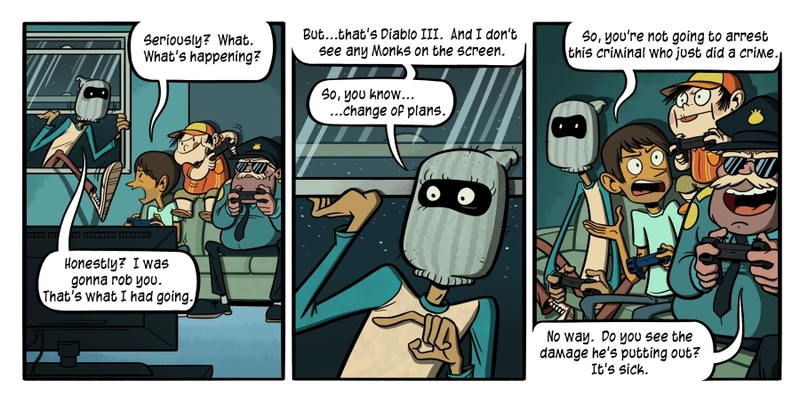 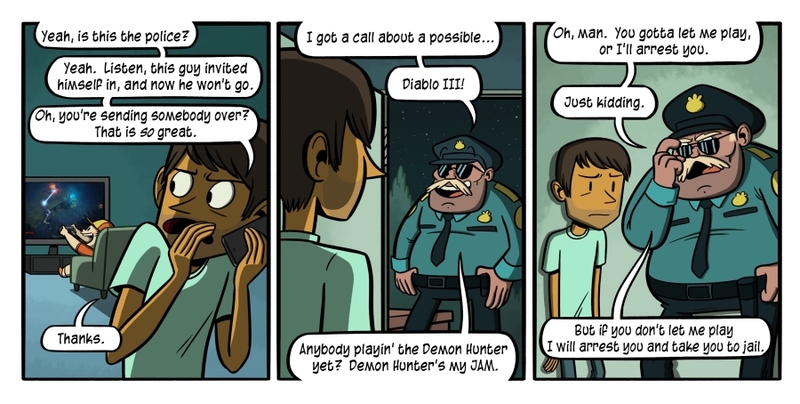 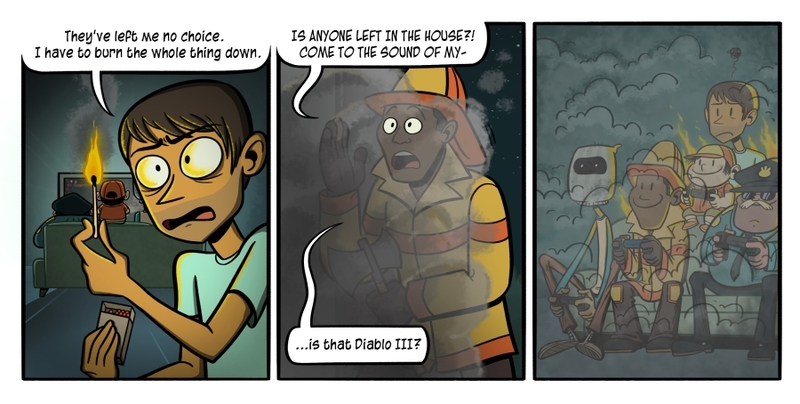 To commemorate the release of Diablo III on the PS3 and Xbox 360, Penny Arcade has teamed up with Katie Rice, recent winner of PA's Strip Search webcomic reality show, to create five new comics about what kind of hijinks you might expect when playing Diablo III on console. 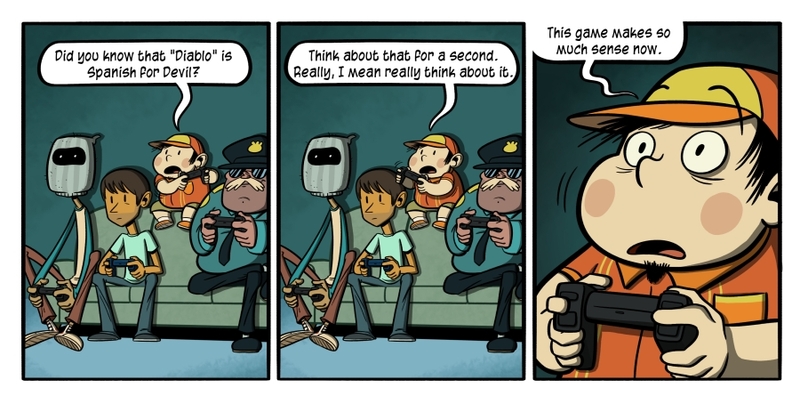 Check out the entire series below, and then head on over to Penny Arcade's official site to learn a bit more about this special project. 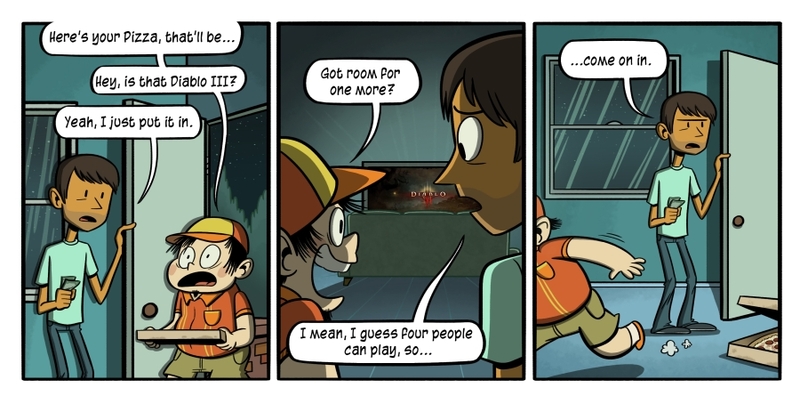 We'll see you in Sanctuary!